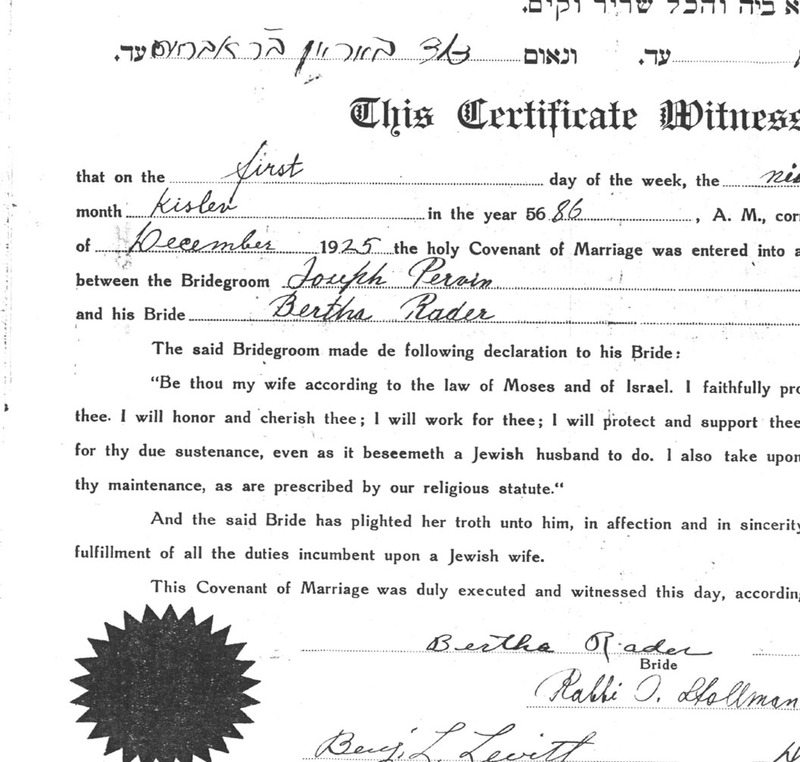 The both Marriage License and Certificate for Joseph Pervin have been provided by Mrs. Bernice Shapiro. 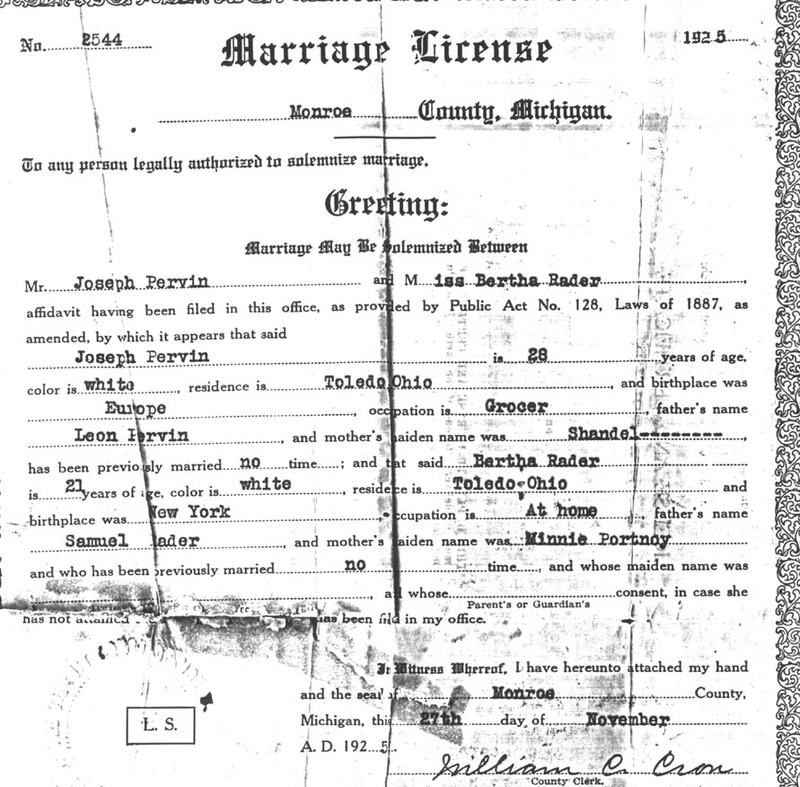 Joseph and Bertha was married on December 6, 1925. Notice in the Certificate that Joseph signed his name with Hebrew.